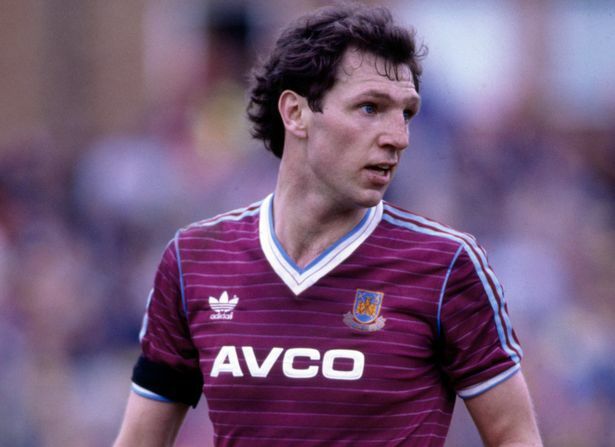 On the afternoon of 21st April 1986, West Ham defender Alvin Martin scored a very unusual hat-trick. Each goal came against a different goalkeeper. The opponents at Upton Park that day were Newcastle, and the Magpies were forced into fielding a not-fully fit Martin Thomas, their first-choice keeper, as their reserve stopper was injured. Thomas was still suffering the effects of a shoulder injury. Just four minutes into the game, Martin scored with a nifty volley. By half-time, with the Hammers 4-0 up, the Toon keeper’s injury had flared up to the point that he was unable to emerge for the second period. Peter Beardsley volunteered to go in goal, but was rejected by manager Willie McFaul for being too small. The gloves, instead, were passed to midfielder Chris Hedworth. Martin headed one past Hedworth with 15 minutes left, but the hapless Geordies suffered another blow when the auxiliary goalkeeper fell awkwardly while attempting to save it and damaged his collarbone. And with that, Beardsley finally got his chance to go in goal – Hedworth returning to his regular midfield berth. Beardsley duly conceded thrice before the final whistle as West Ham ran out 8-1 winners – the final goal being scored from the penalty spot by – yep, you’ve guessed it – Alvin Martin.